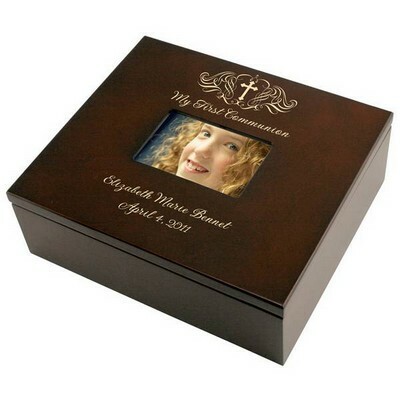 This Holy Cross keepsake box is a fantastic religious gift idea, with personalization options that make it suitable for any religious occasion. This 9" by 7 7/8" by 3" keepsake box can be customized with laser engraving to include the recipient's name, a baptism or confirmation date, and short message. 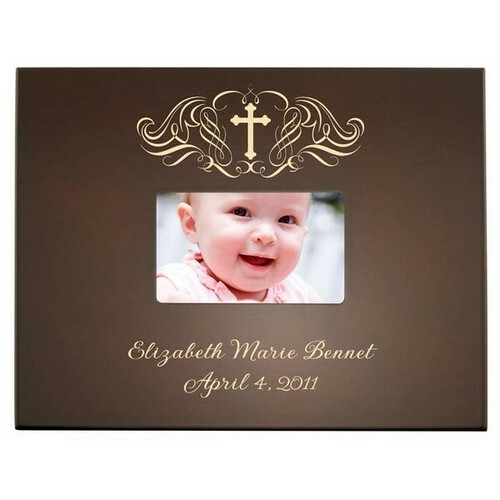 Ideal as a baby baptism gift or communion gift, this wood box includes a space in the lid for a horizontal photograph. 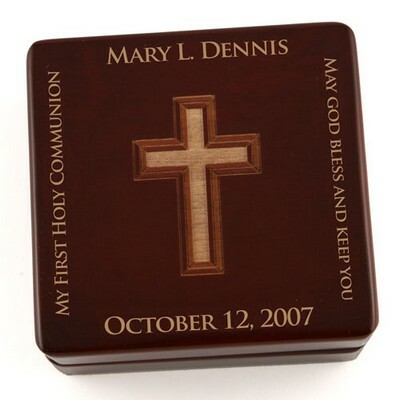 Commemorate a special religious event, with this customized religious gift from Memorable Gifts! 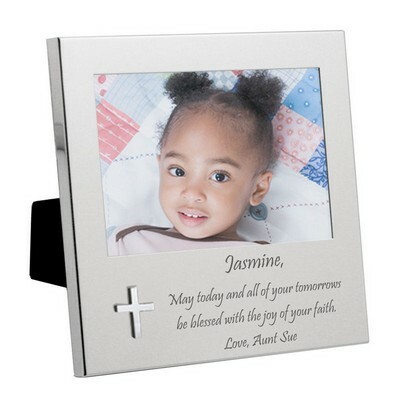 Holds a 4" x 2 3/4" photo in the center. 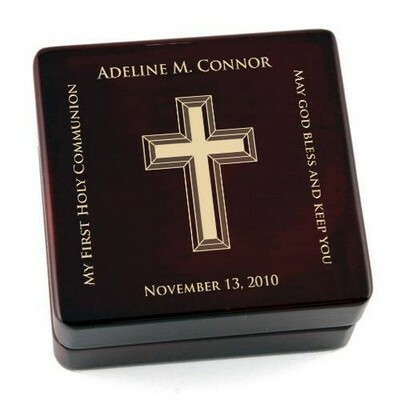 Personalize this gift with the religious occasion at the top and two lines of text at the bottom.. 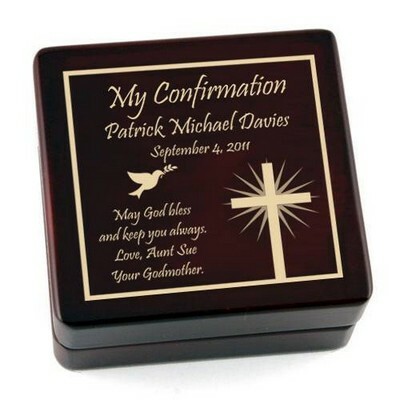 Comments: We purchased this for my nephew/god sons confirmation as a nice keepsake for him to have and keep his personal things in. 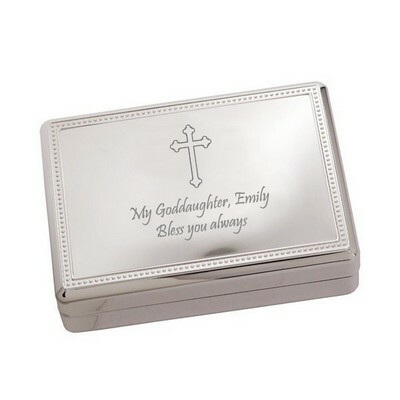 We were very pleased with the quality of the box and the inscription. It was shipped and received very quickly. 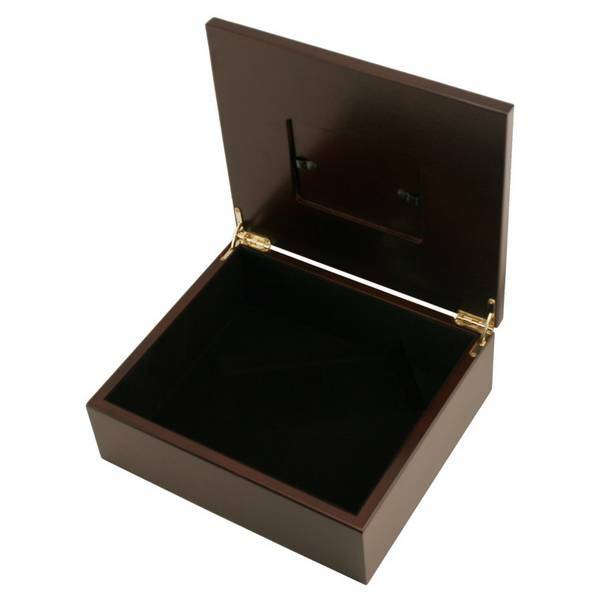 Comments: Very beautiful and great quality. 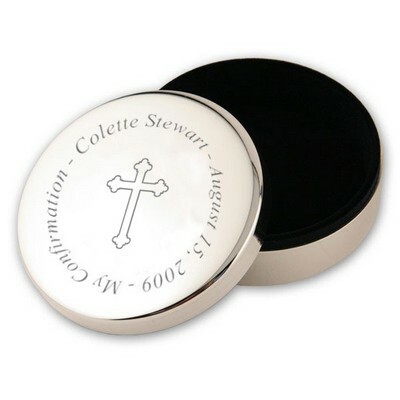 The size is perfect and the engraving impeccable. 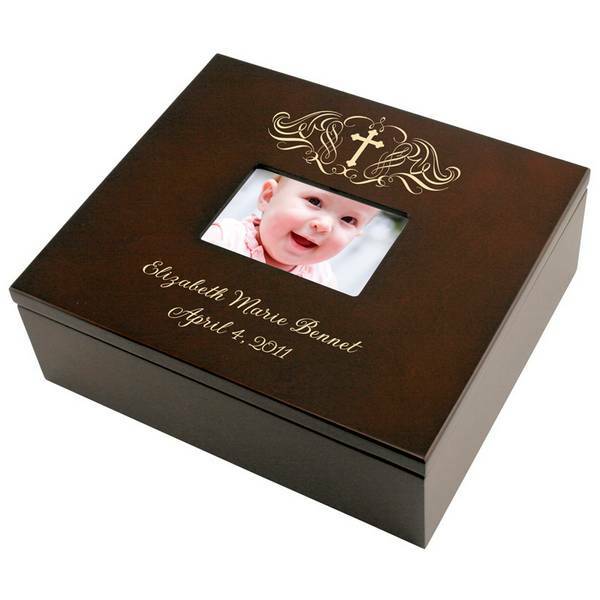 This was a gift for my godson and we were able to fit all of his baptism keepsakes. 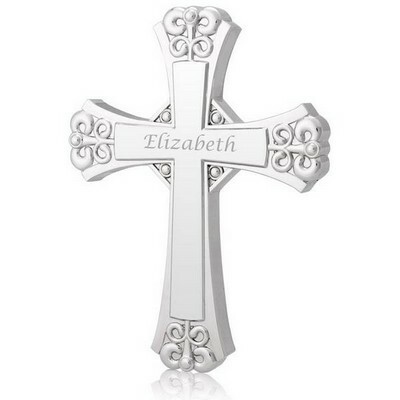 I'm sure it will stand the test of time.